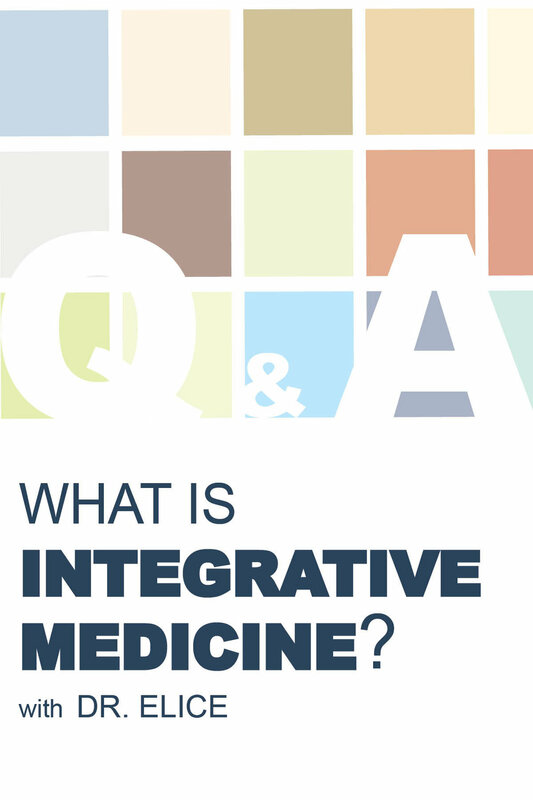 Q & A with Dr. Elice: What is Integrative Medicine? Integrative medicine seeks to restore and maintain health and wellness across a person’s lifespan by understanding the patient’s unique set of circumstances and addressing the full range of physical, emotional, mental, social, spiritual and environmental influences that affect health. Through personalizing care, integrative medicine goes beyond the treatment of symptoms to address all the causes of an illness. In doing so, the patient’s immediate health needs as well as the effects of the long-term and complex interplay between biological, behavioral, psychosocial and environmental influences are taken into account. Integrative medicine is not the same as alternative medicine, which refers to an approach to healing that is utilized in place of conventional therapies, or complementary medicine, which refers to healing modalities that are used to complement allopathic approaches. If the defining principles are applied, care can be integrative regardless of which modalities are utilized. I feel that the integrative approach is essentially what I was taught in medical school. Using the practical aspects of taking a complete history from my patients or more often their parents This includes a complete physical examination which means looking at the entire body, not merely listening to the heart and lungs over the clothing. Being able to formulate a differential diagnosis involves listing all the possible explanations for the presenting problems and then proving which diagnoses to apply based on observation. Collecting information and performing specific lab investigations, also enables my staff and I to accurately come to a conclusion as well as design a treatment plan for each individual.